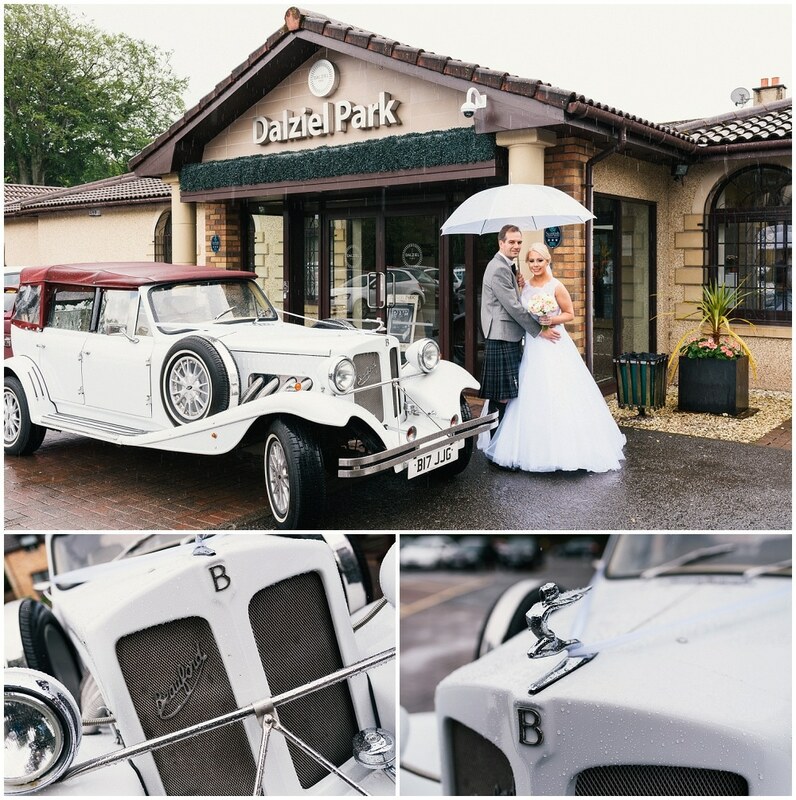 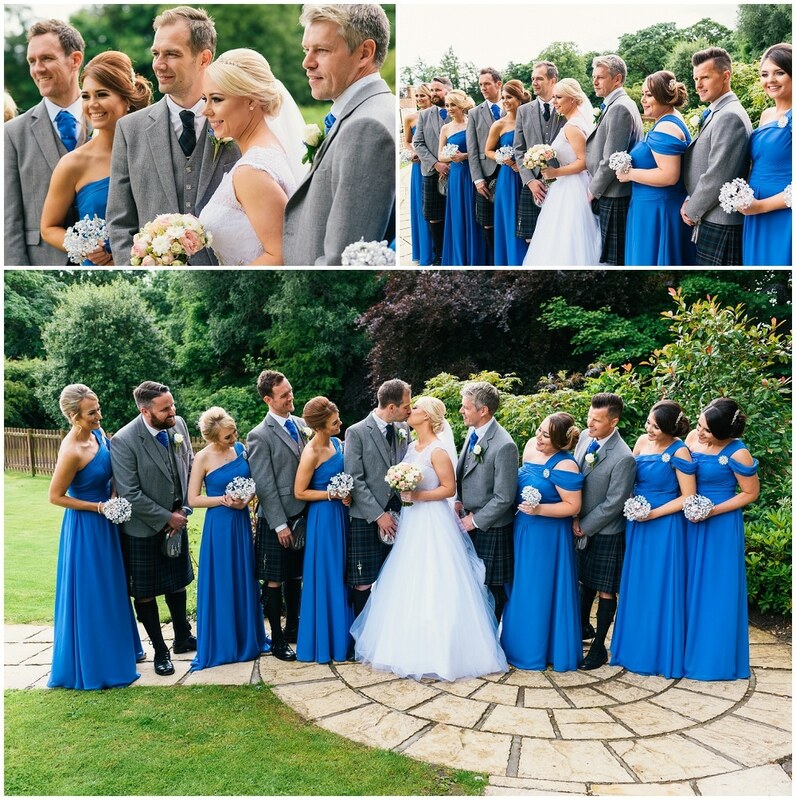 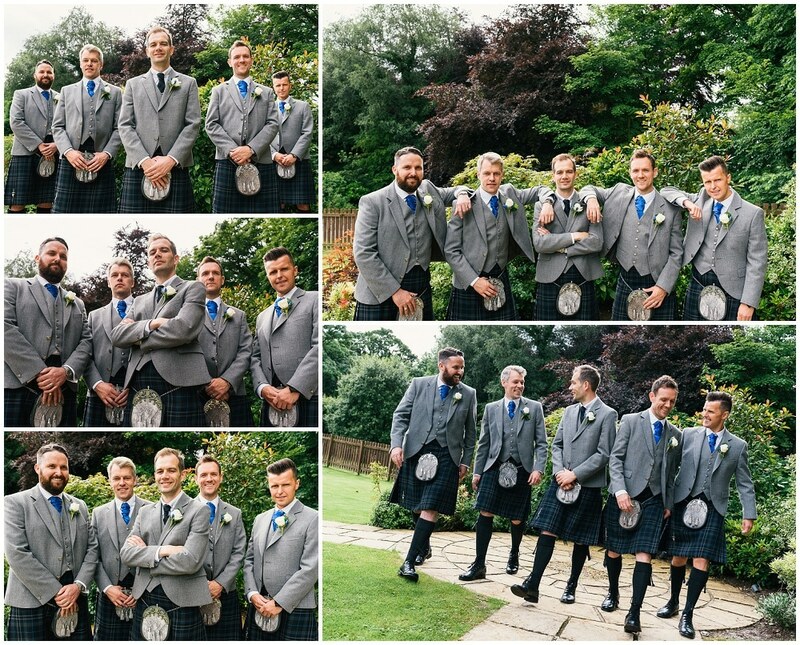 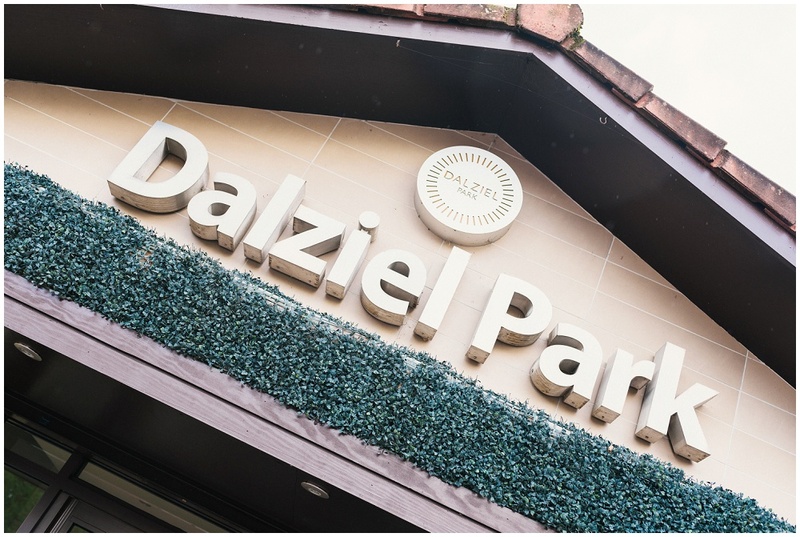 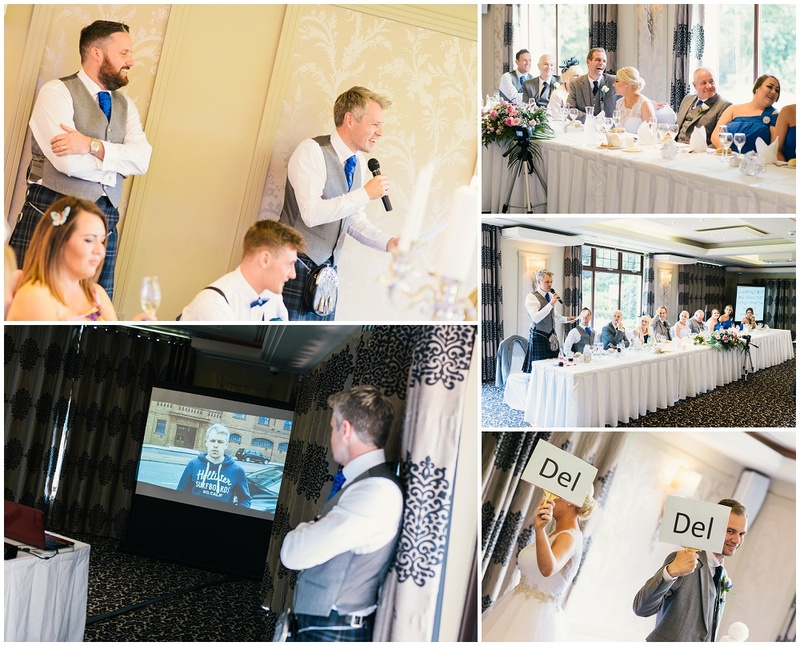 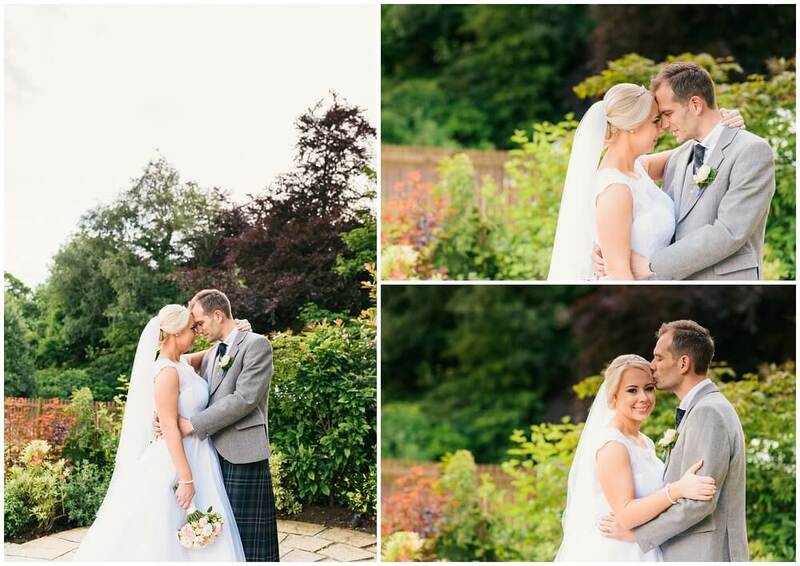 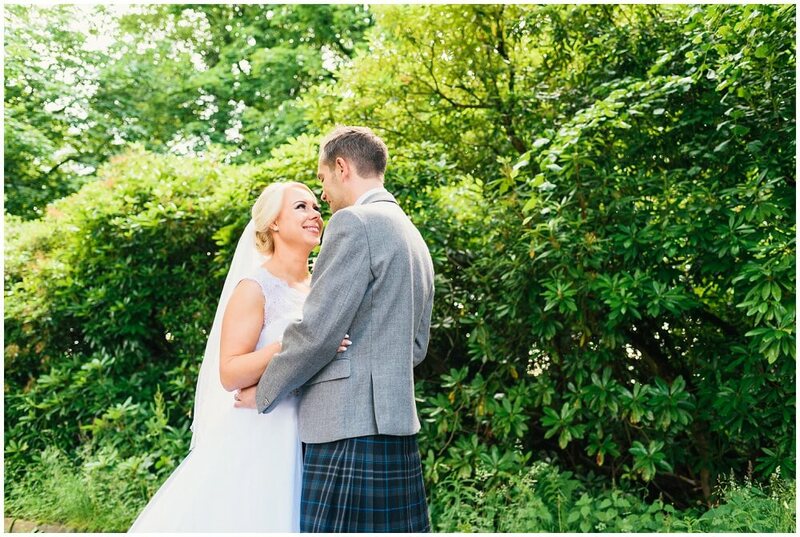 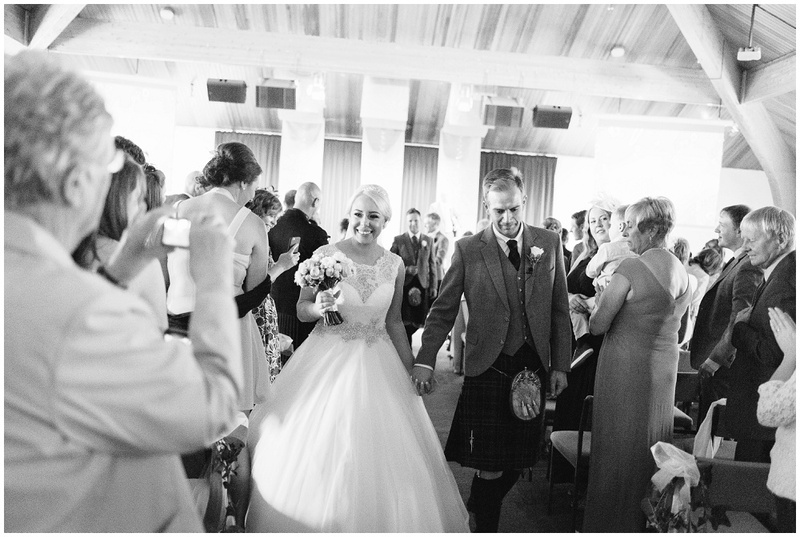 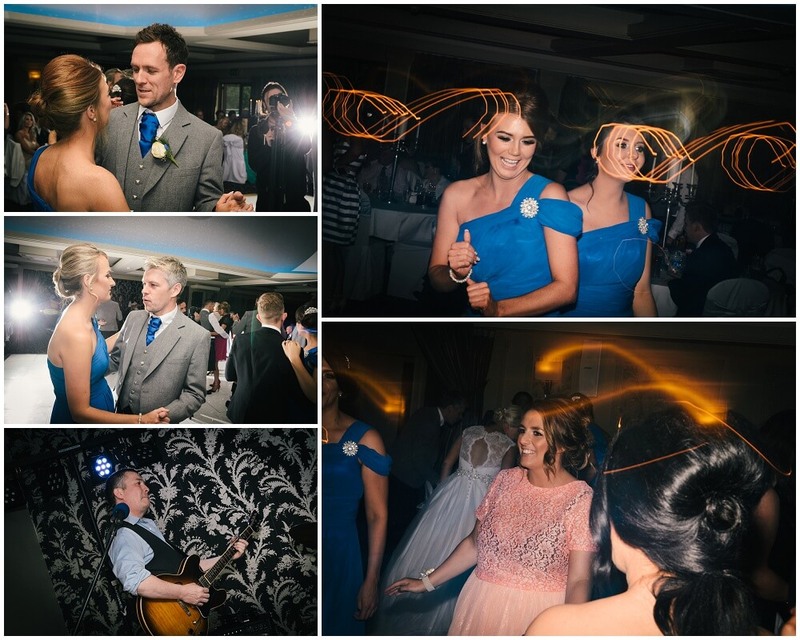 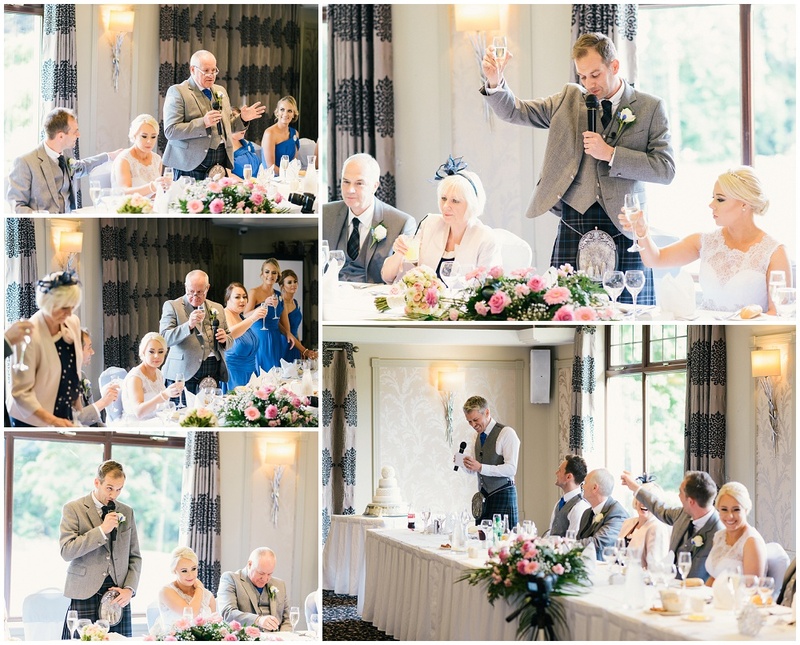 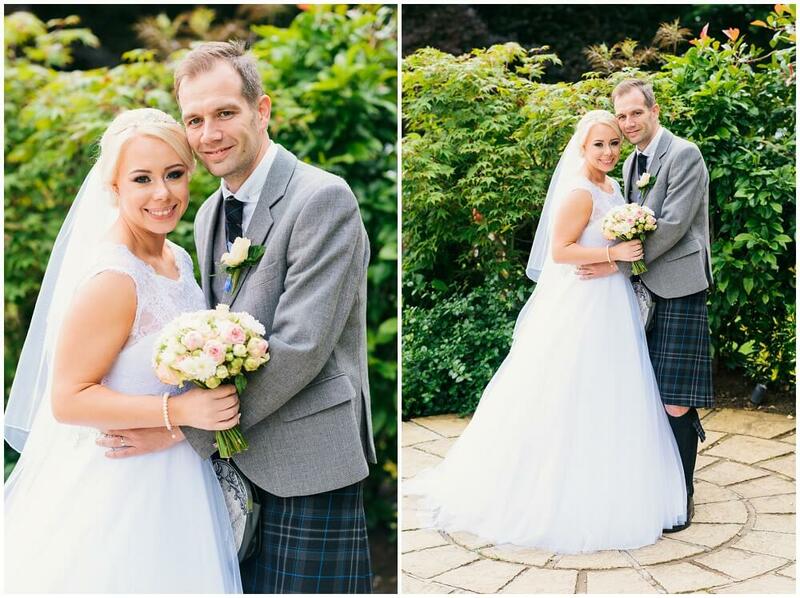 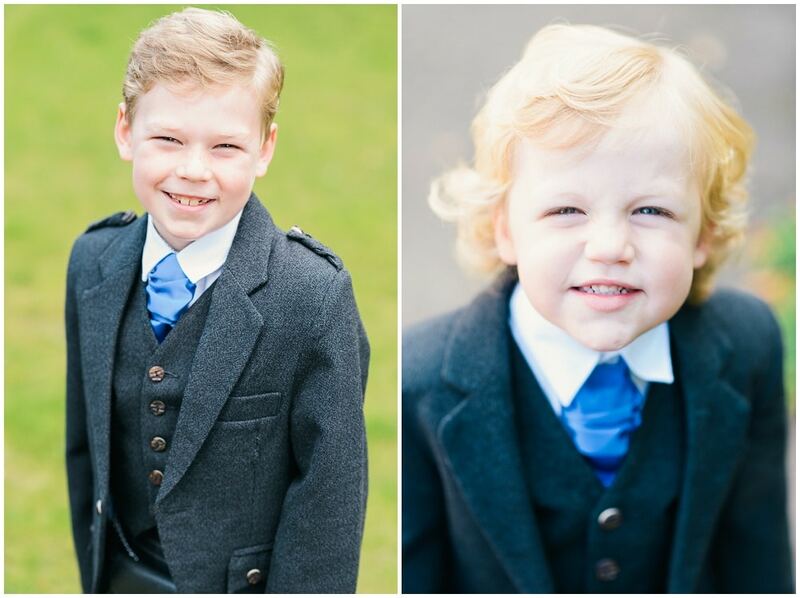 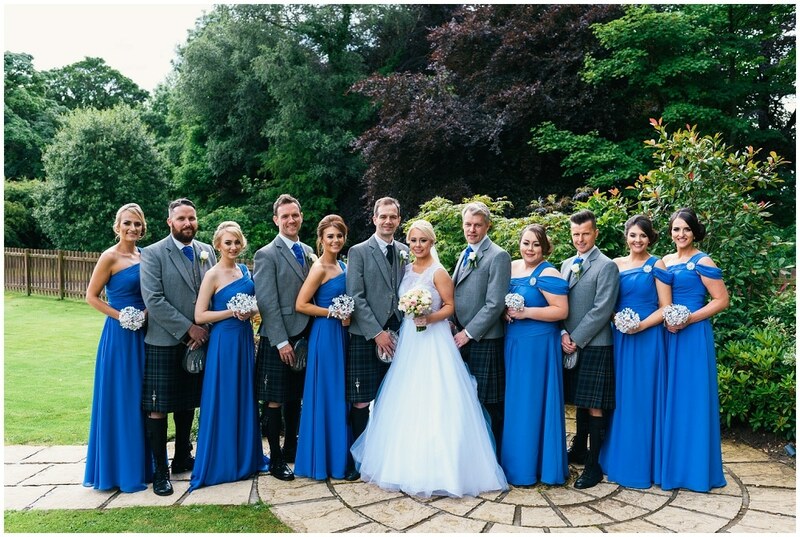 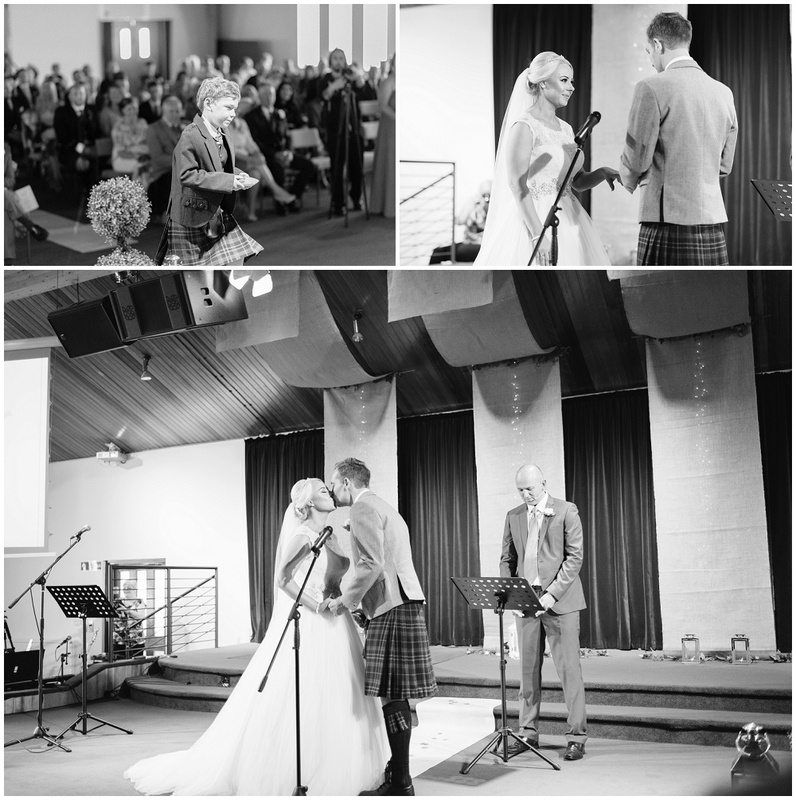 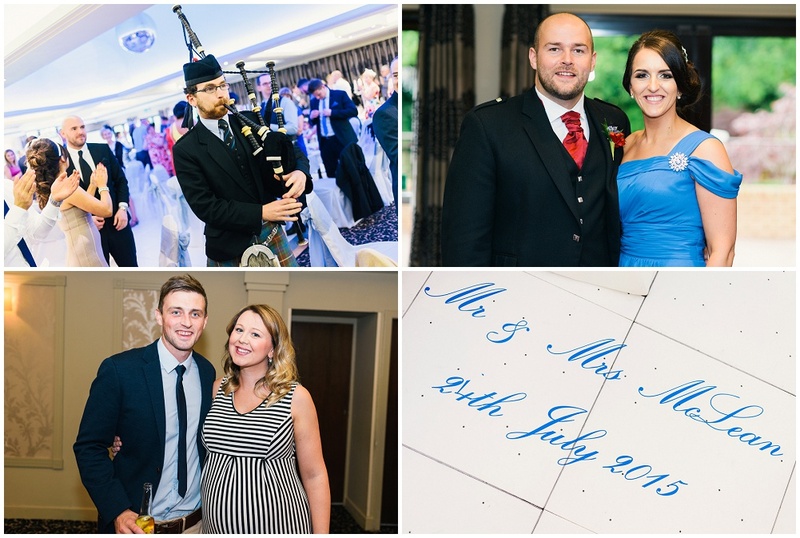 What a day this was for Lindsay May and Derek’s amazing Dalziel Park Wedding. 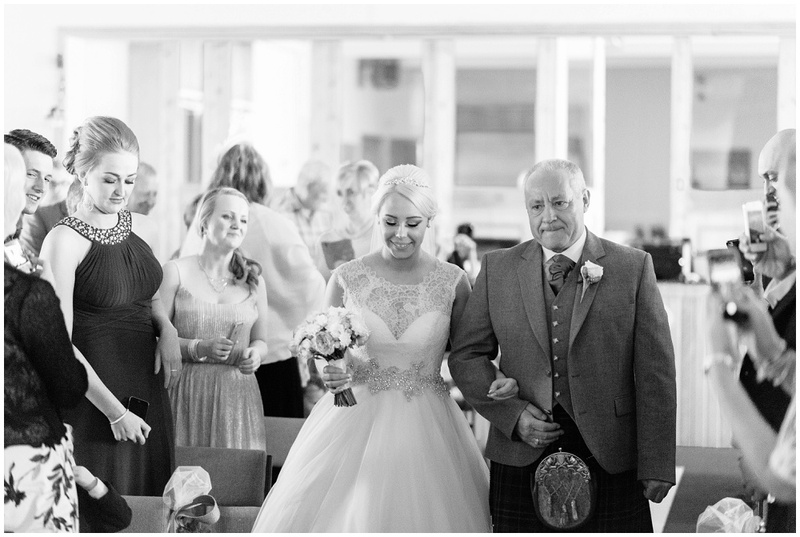 The day was bursting with love and laughter. 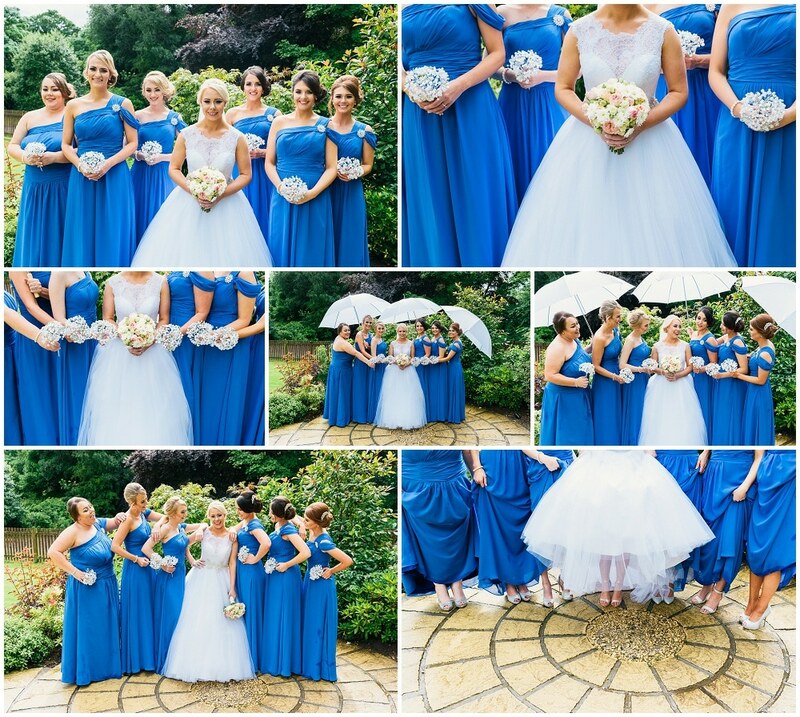 It was a fantastic group to photograph and everyone even braved the rain. 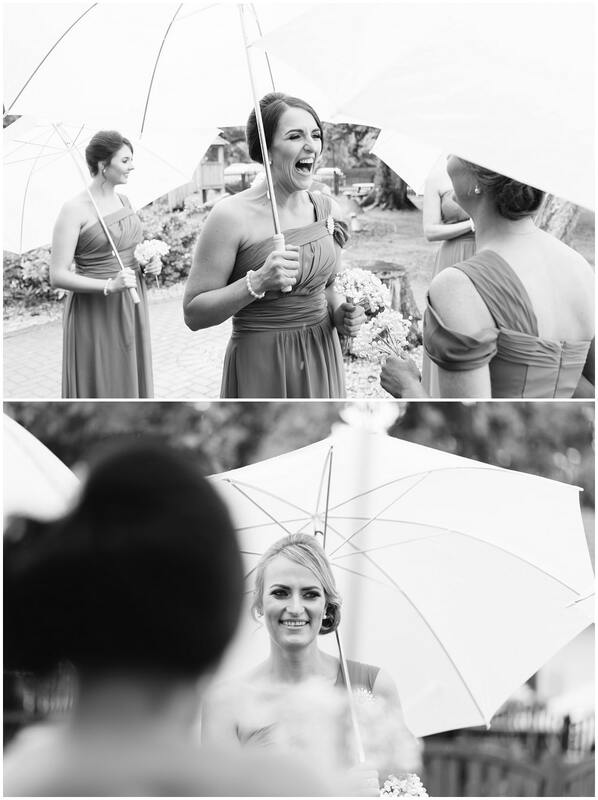 I love the umbrella pictures! 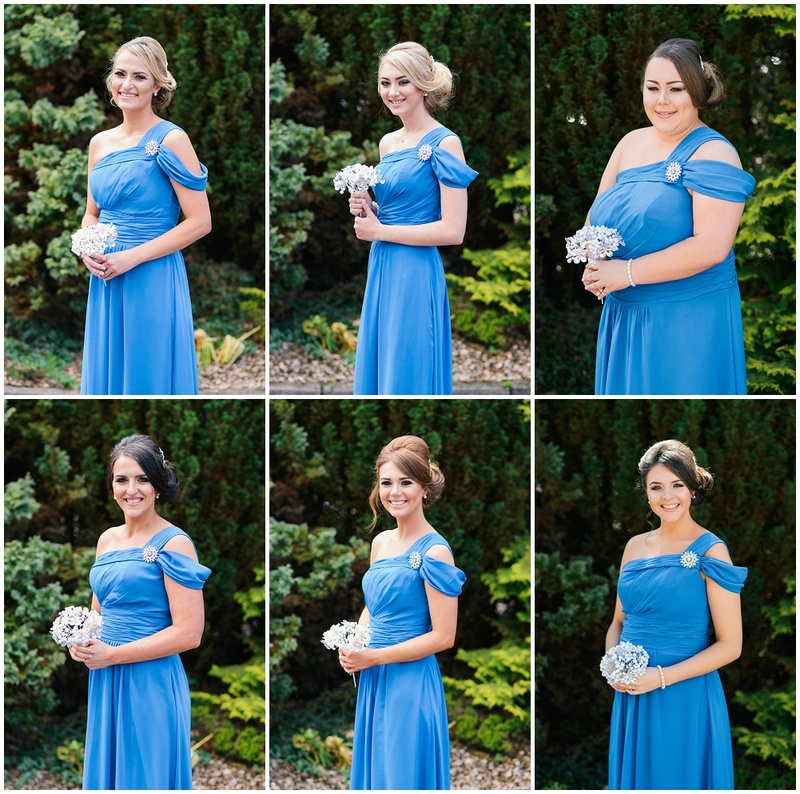 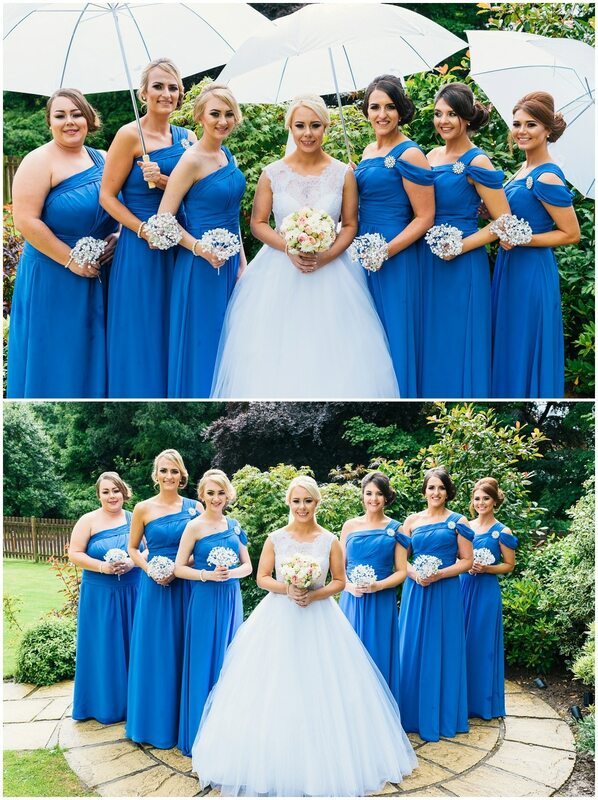 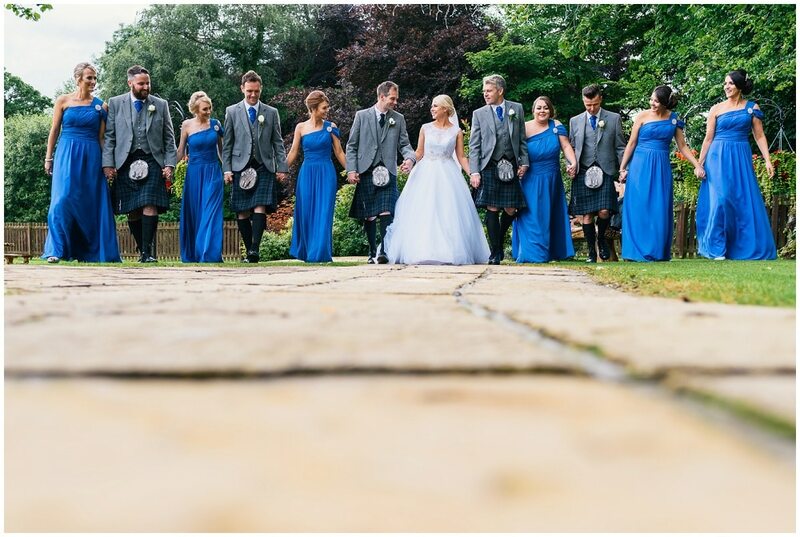 Lindsay May and her bridesmaids looked absolutely fantastic when we left for the kings church down the road in Motherwell. 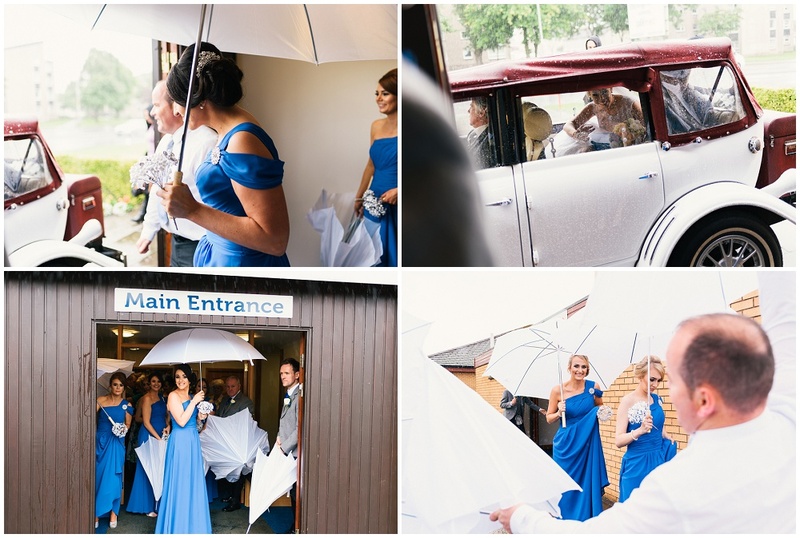 We were treated to a truly personal wedding service before we headed back up to Dalziel park in the rain for the pictures. 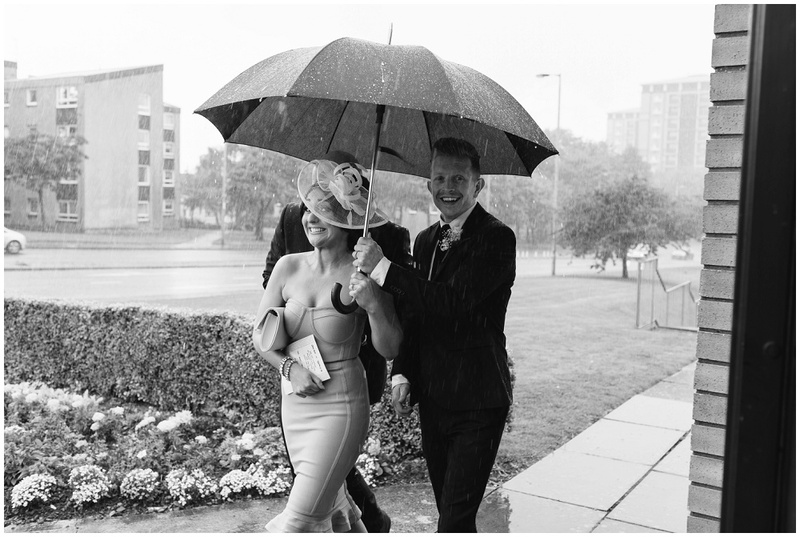 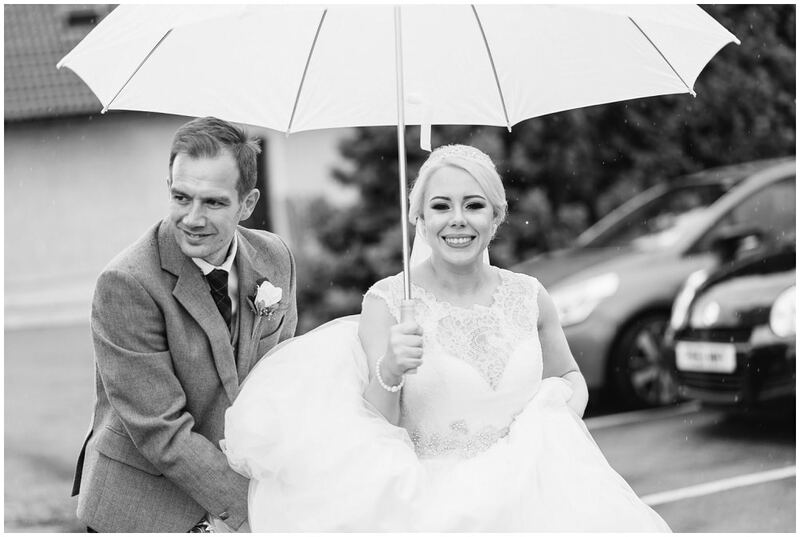 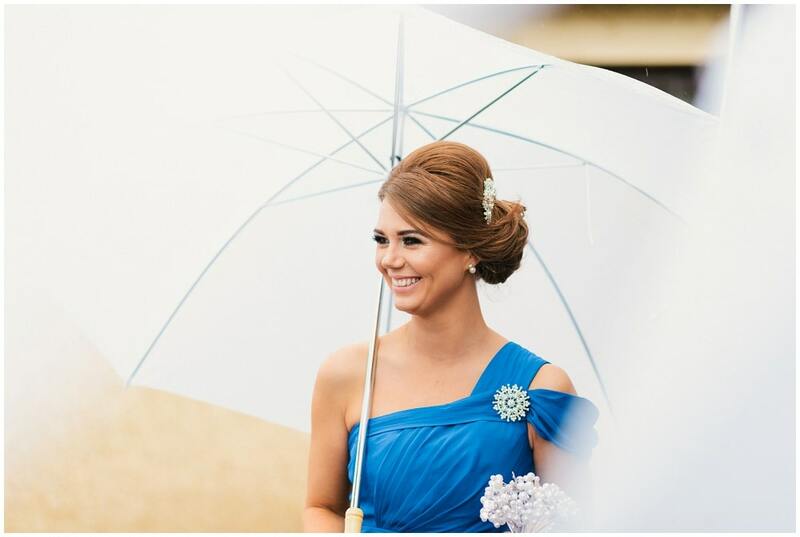 One of my favourite pictures from the day is the new Mr and Mrs walking through the rain under an umbrella. 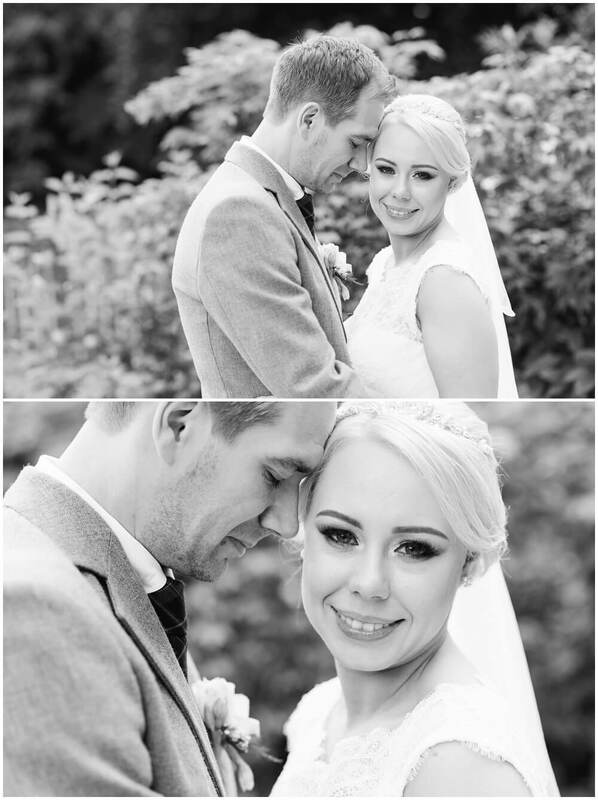 They look so happy and very much in love. 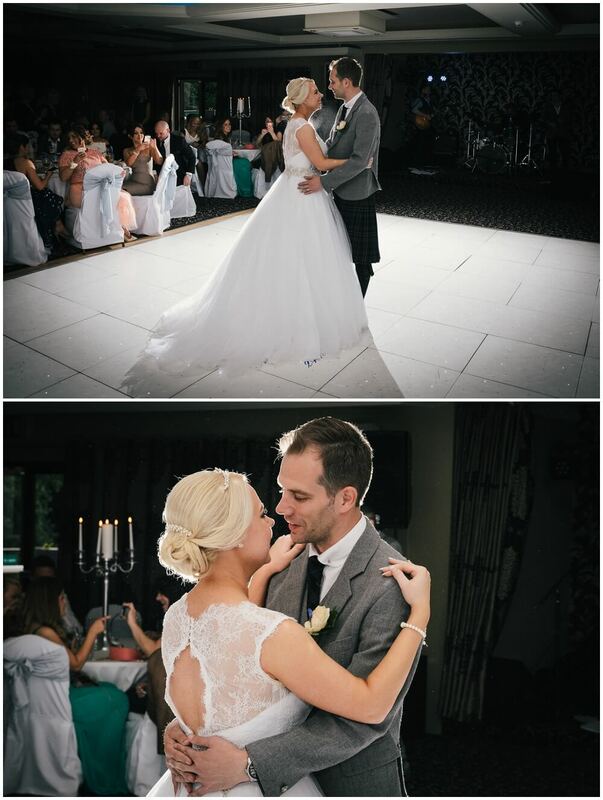 Anyway, thank you so much for having me as your photographer. 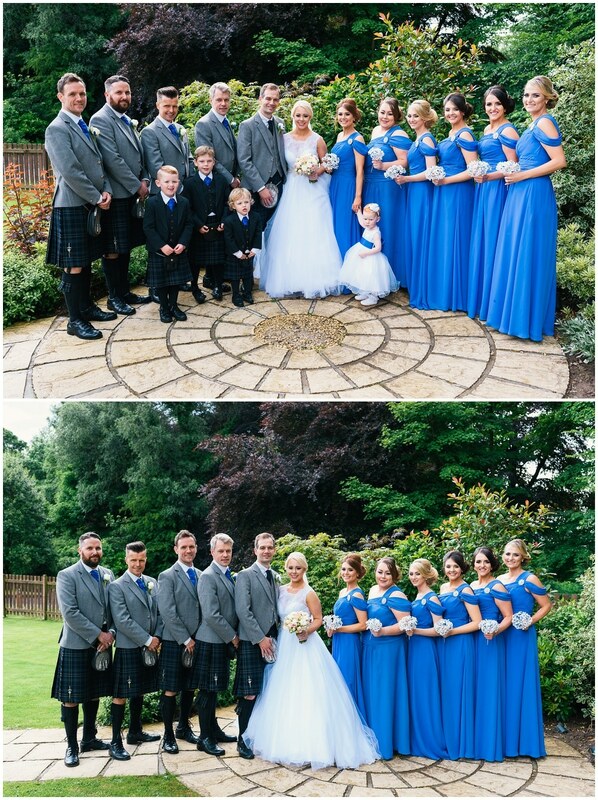 Ill let the photos do the talking from here! 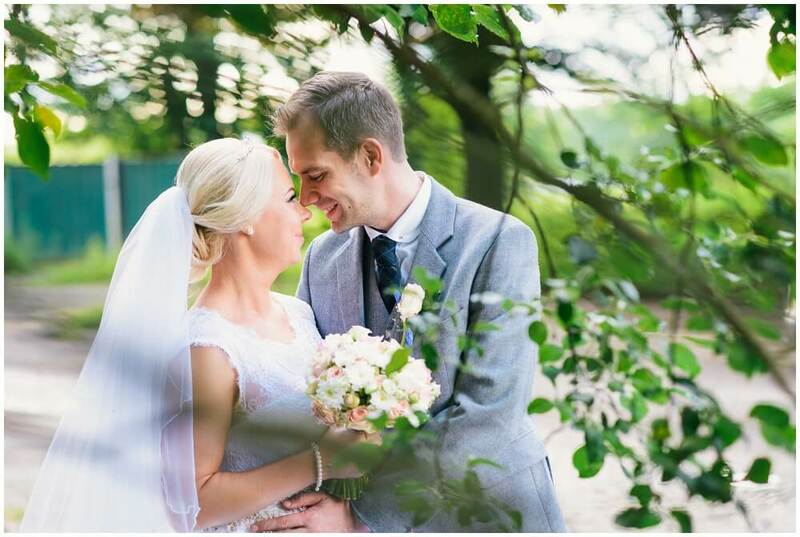 Thanks for taking the time to read my blog. 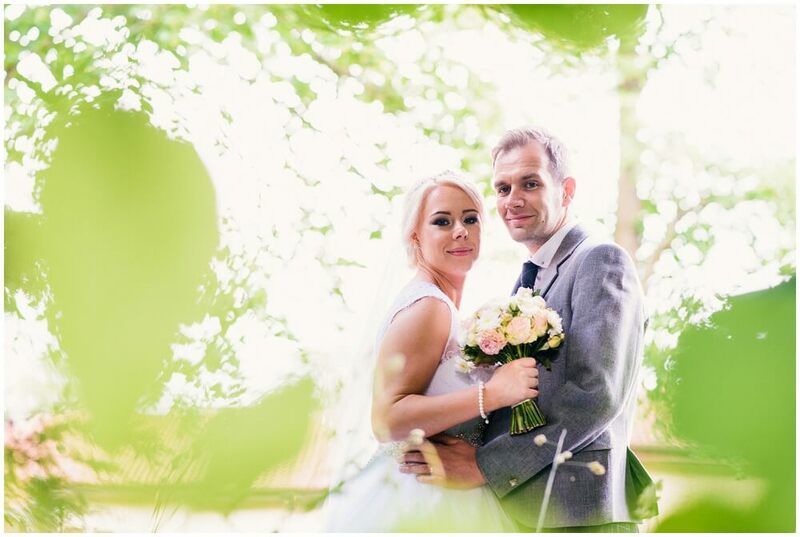 I love to get feedback so feel free to use the ‘Leave A Reply’ box below to tell me what you think or to leave a message for Lindsay may & Derek. 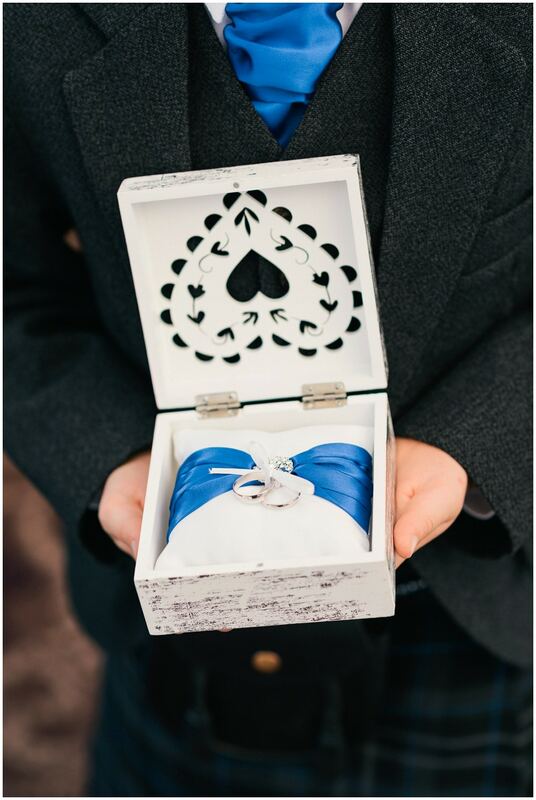 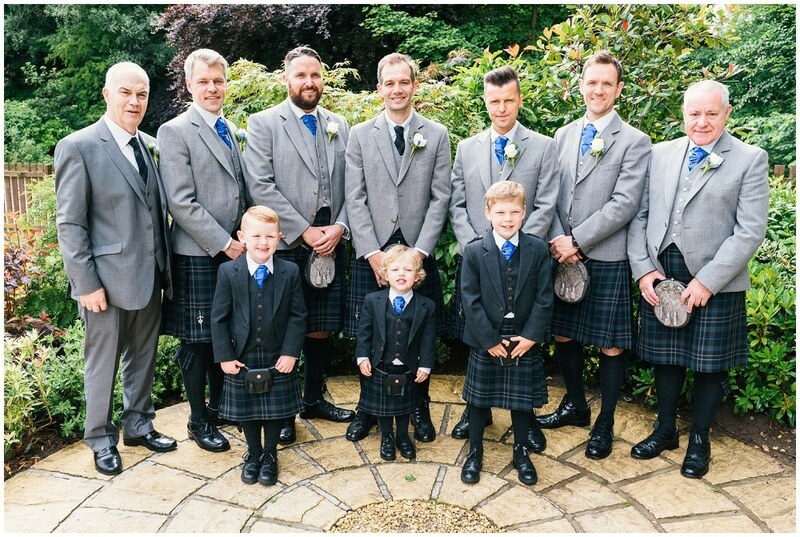 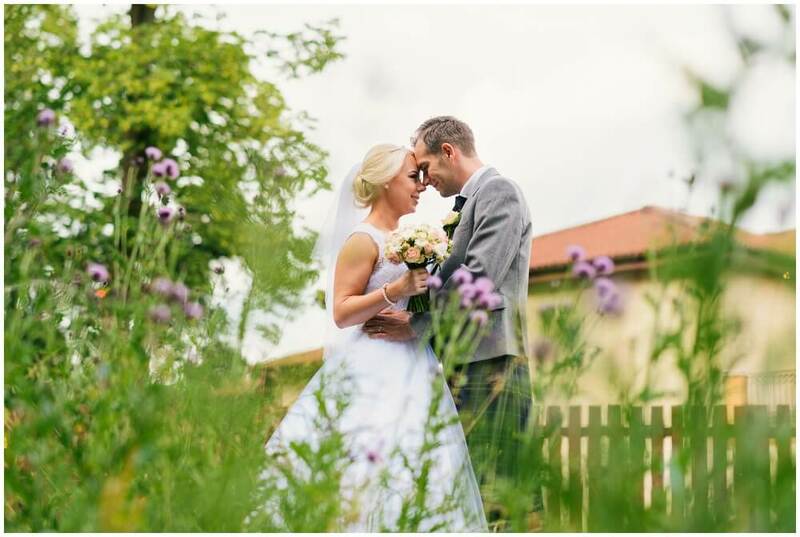 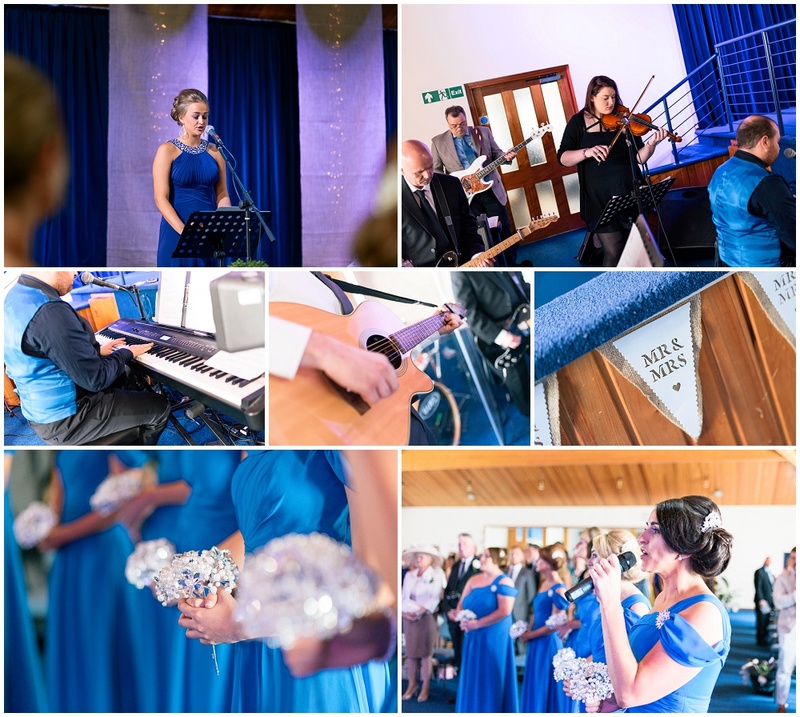 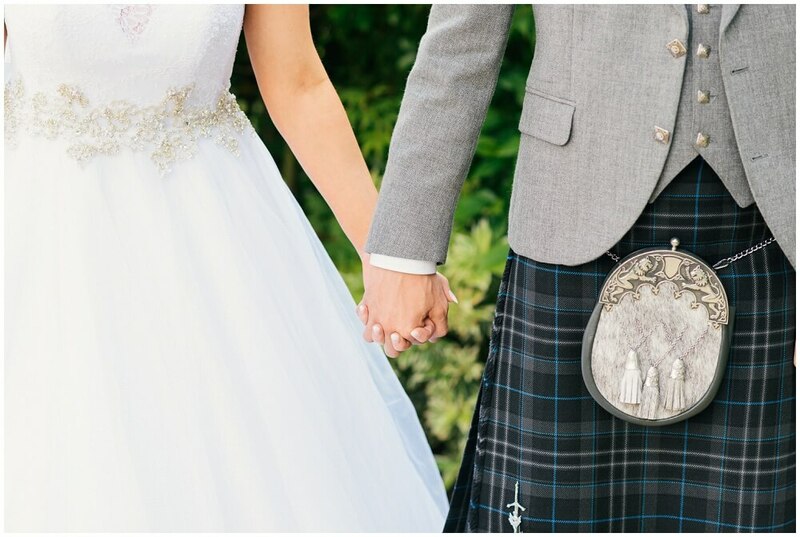 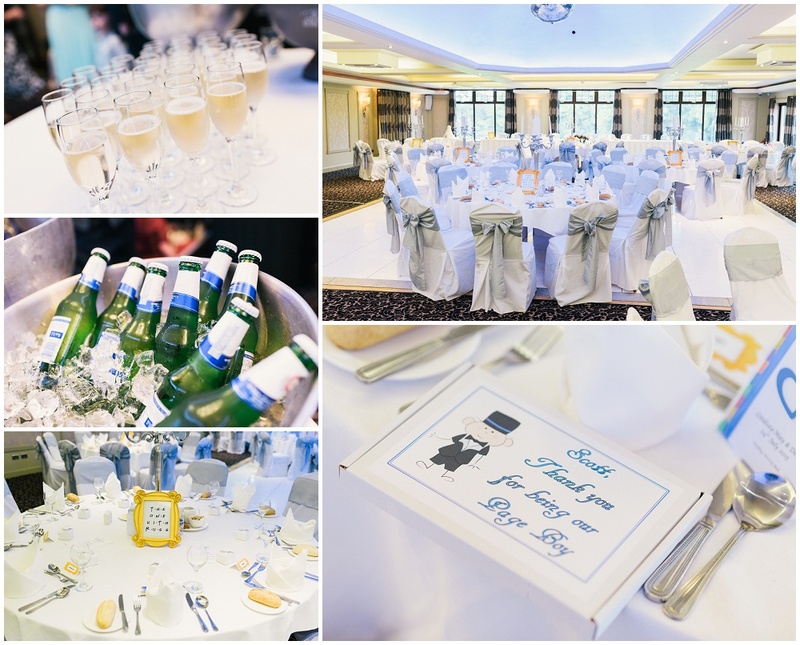 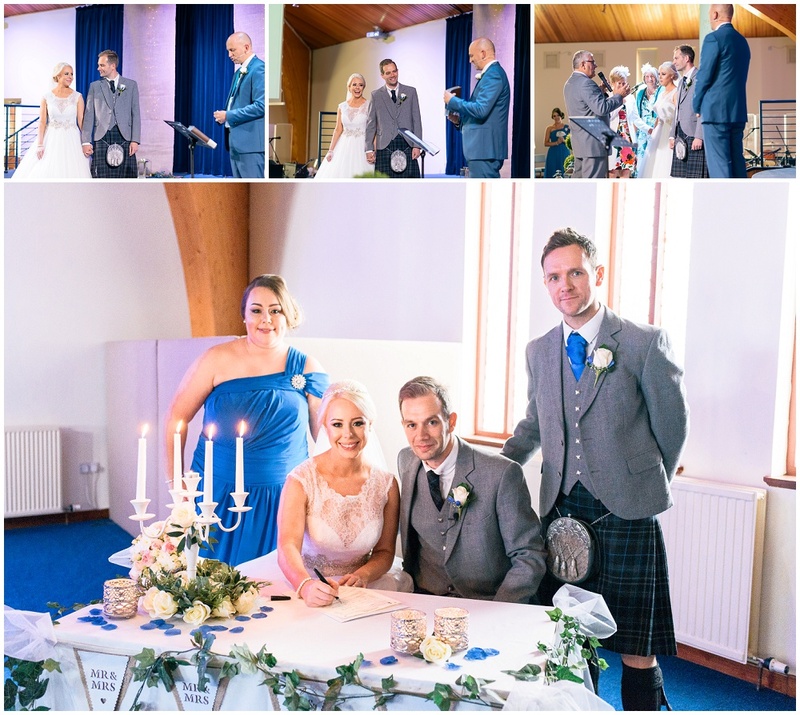 This entry was posted in Weddings and tagged Dalziel Park Wedding photographer, kings church, Motherwell, Photography, Wedding, wedding photos, wedding pics. 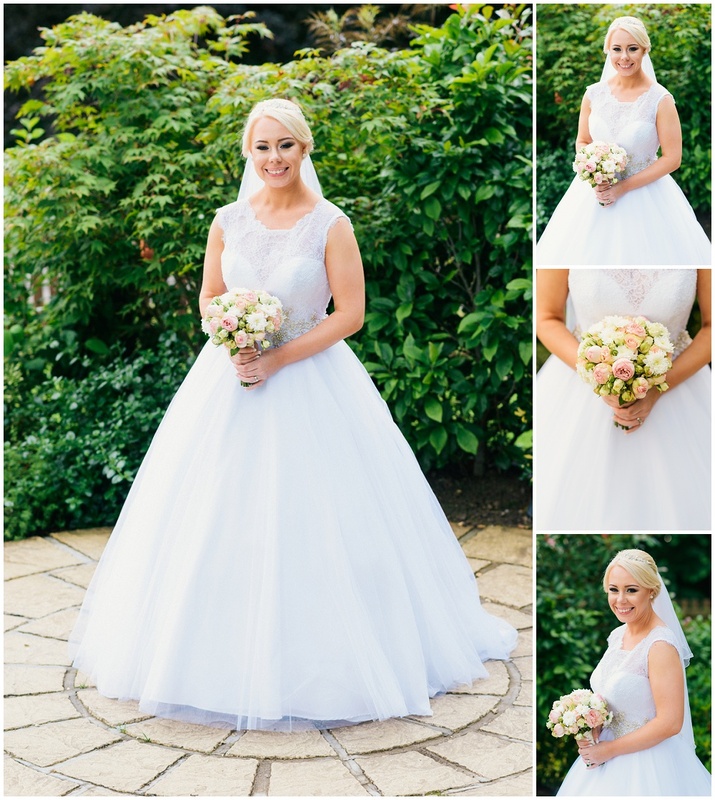 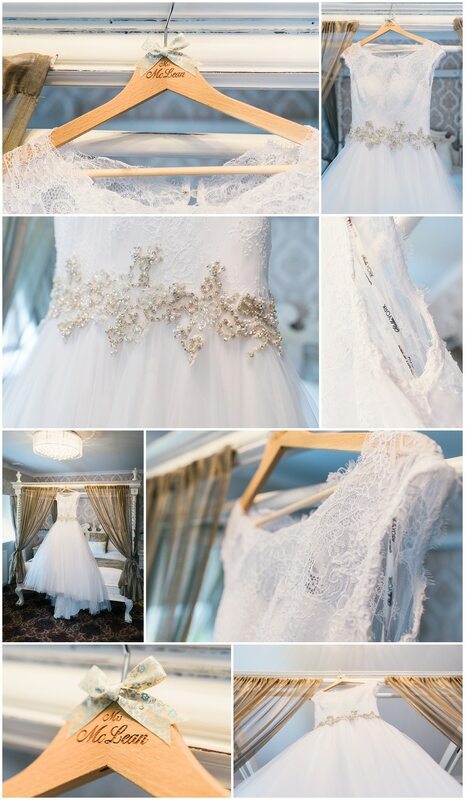 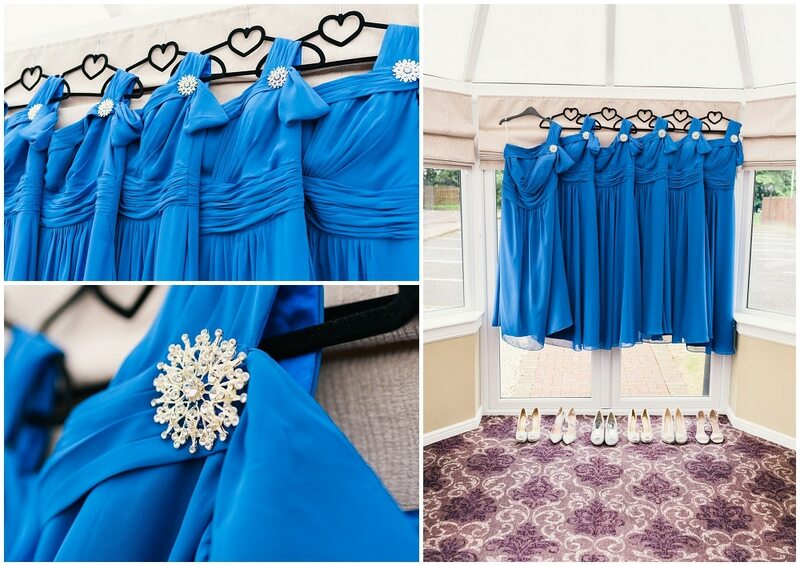 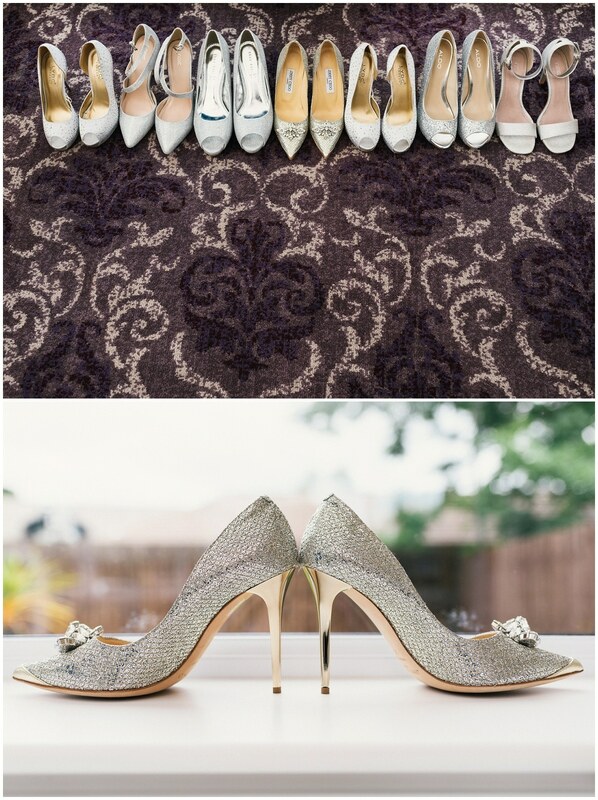 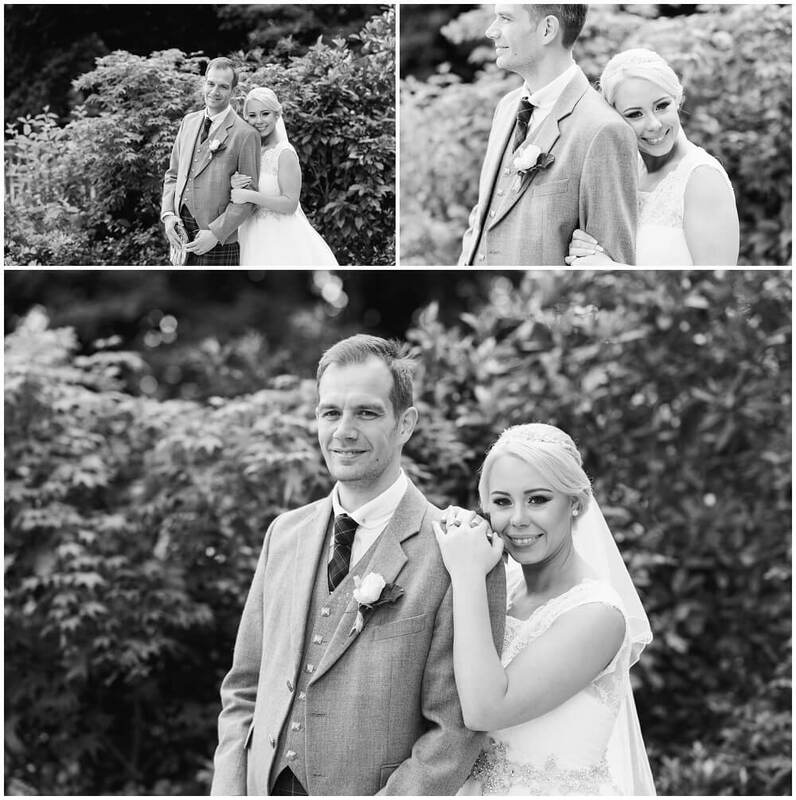 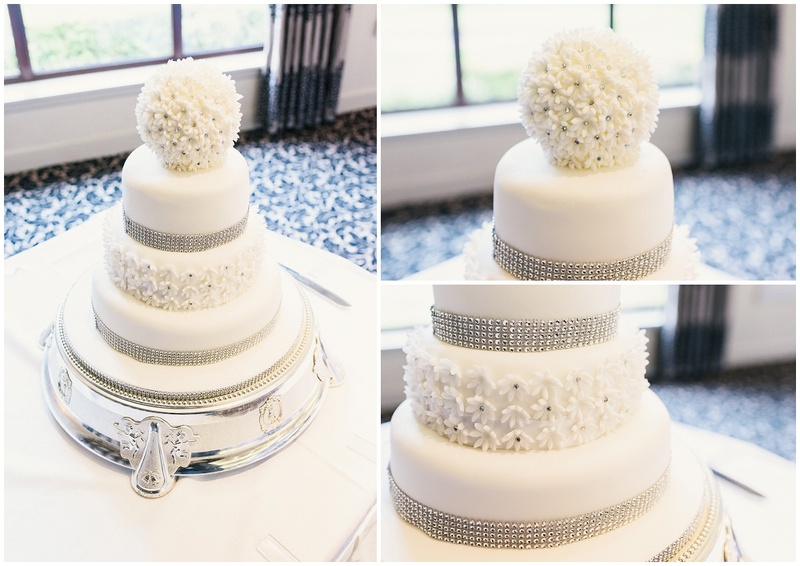 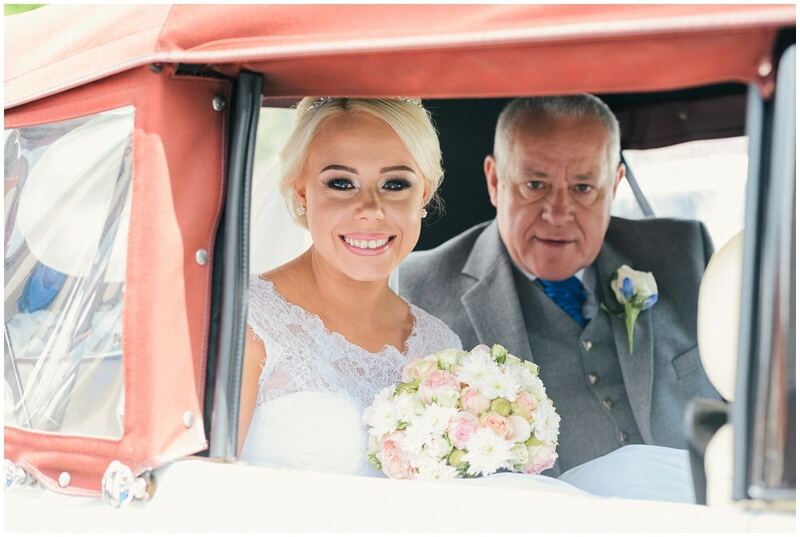 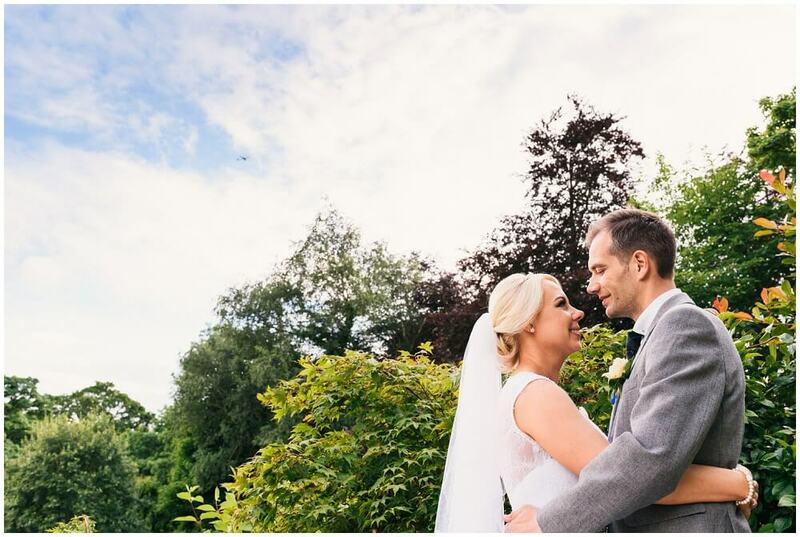 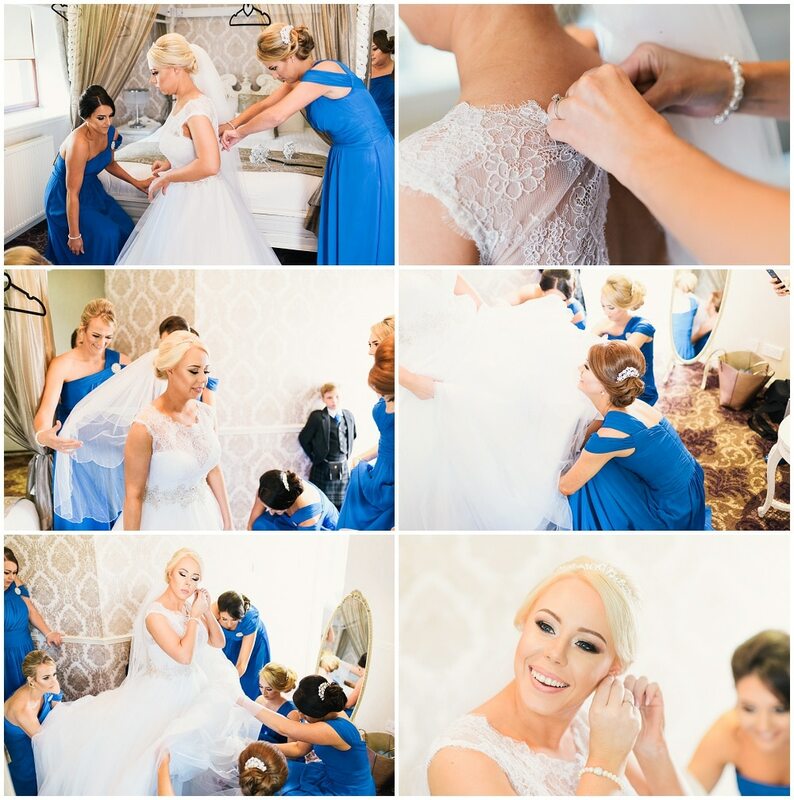 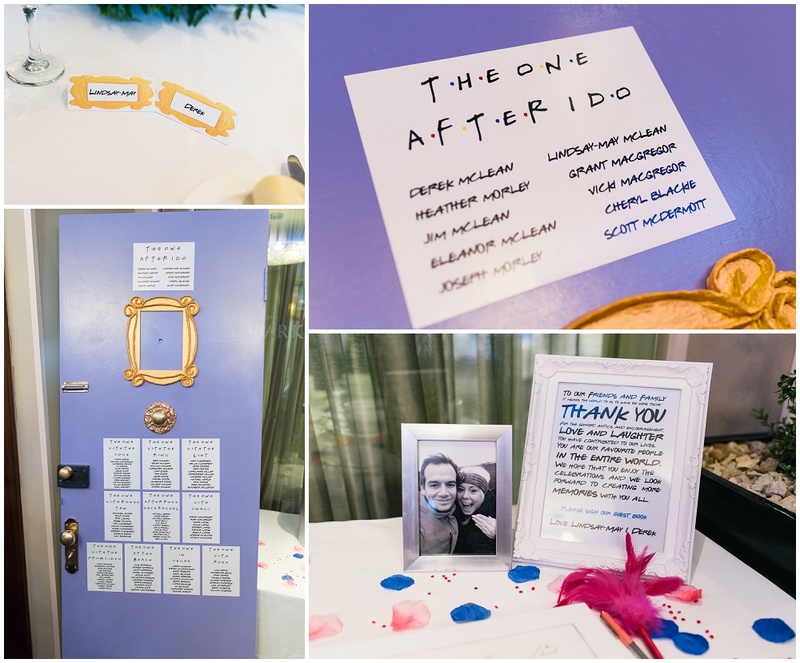 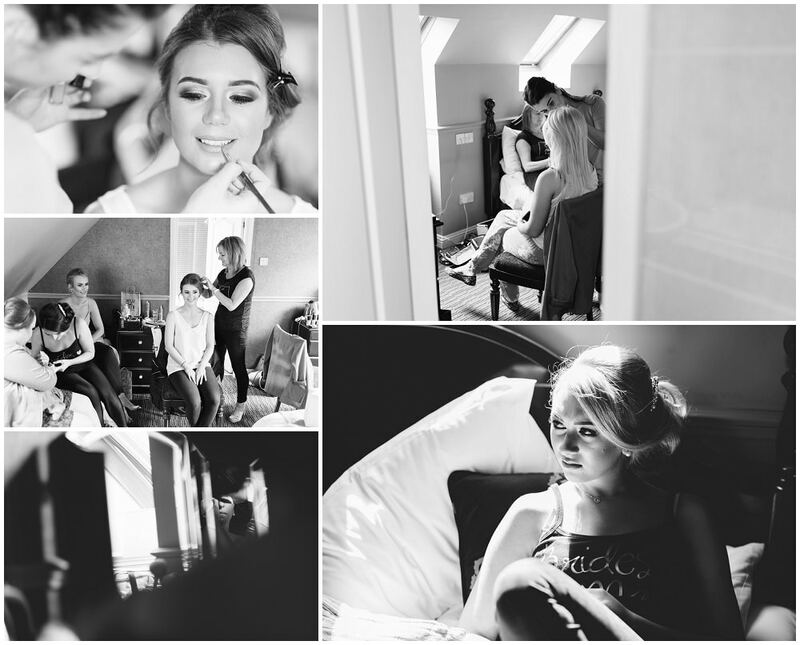 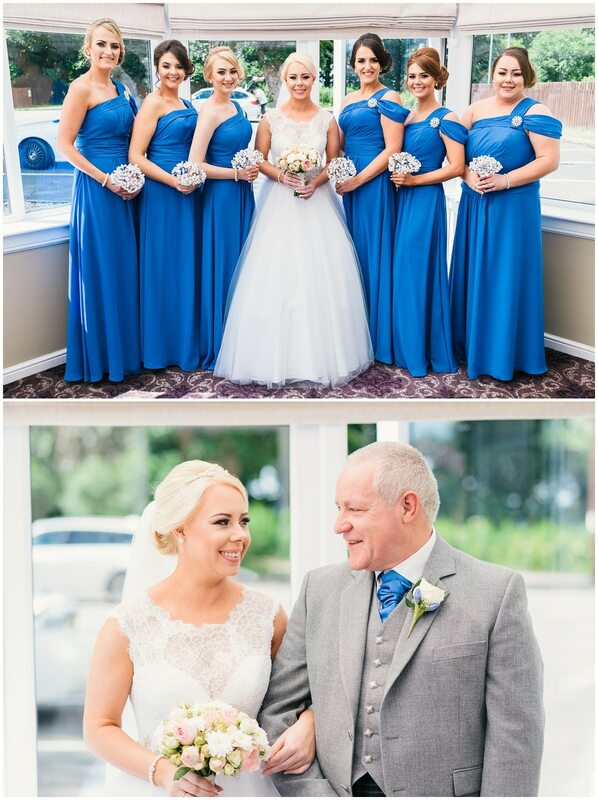 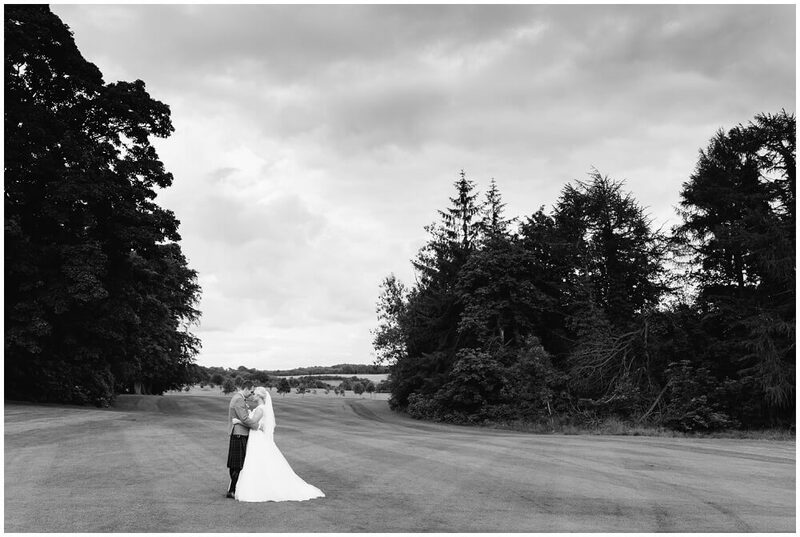 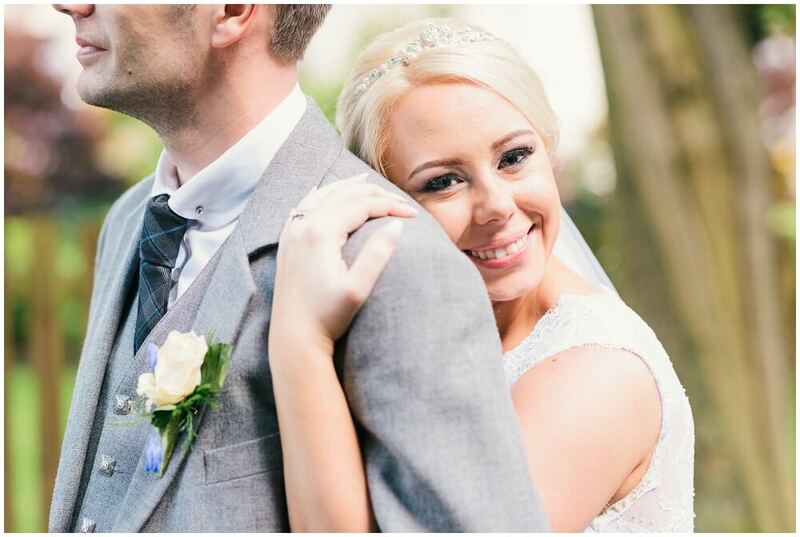 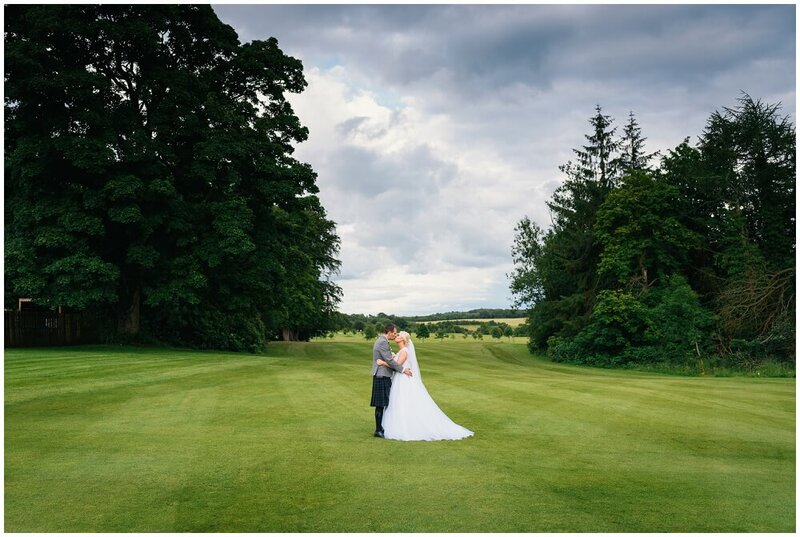 Fabulous pictures of a stunning bride and groom! 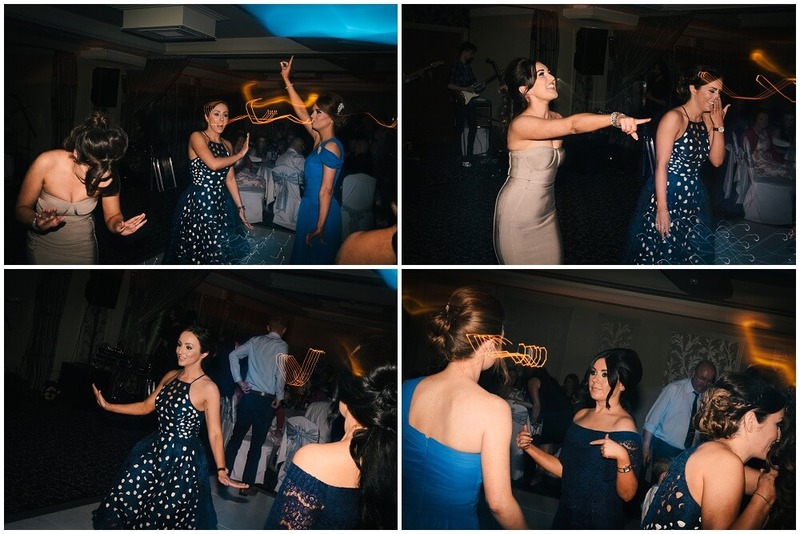 Captured every moment perfectly. 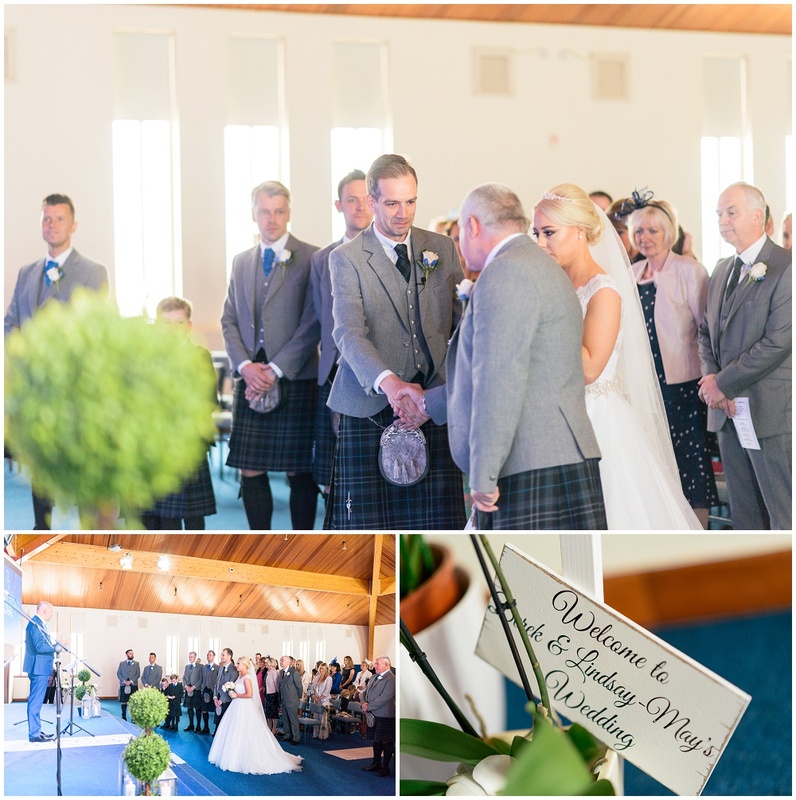 Love the personal introduction to the blog!